Earlier this evening, in my post about Mike’s article asking that we all look out for and care for those, who will be alone, disabled, depressed and vulnerable this Christmas, I told an old Russian joke about the propagandistic nature of the Soviet press, writes The Beast. The joke’s a pun on the names of the two major Soviet papers, Izvestia, ‘News’, and Pravda, ‘Truth’. The joke ran, ‘There’s no truth in the ‘News’, and no news in the ‘Truth”. I remarked that the situation was actually reversing, and that despite the considerable restrictions on the press in Putin’s Russia, the Russian press seemed to want to present a far more objective picture of the suffering of Britain’s poor than our own, supposedly unbiased, ‘free’ press. Well, Communism has fallen, but Russian journalists were swift to point out that, at least when it came to the road infrastructure, capitalism still suffered from glaring contradictions as per Marxist ideology. The Russian newspaper, Komsomolskaya Pravda, succinctly summarised this with a joke about Jeremy Clarkson. 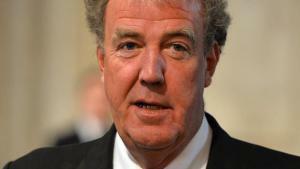 Read it on Beastrabban\’s Weblog – if you think Clarkson’s a joke anyway, this will make you laugh.